It said the parts were destroyed to raise public awareness about the illegal wildlife trade, to try to deter such activities and to promote international cooperation in suppressing the crime. Naypyitaw: Authorities in Myanmar have burned an estimated $1.3 million worth of confiscated ivory and other parts of endangered animals, days after a conservation group charged that the country’s ivory exports to China are increasing. 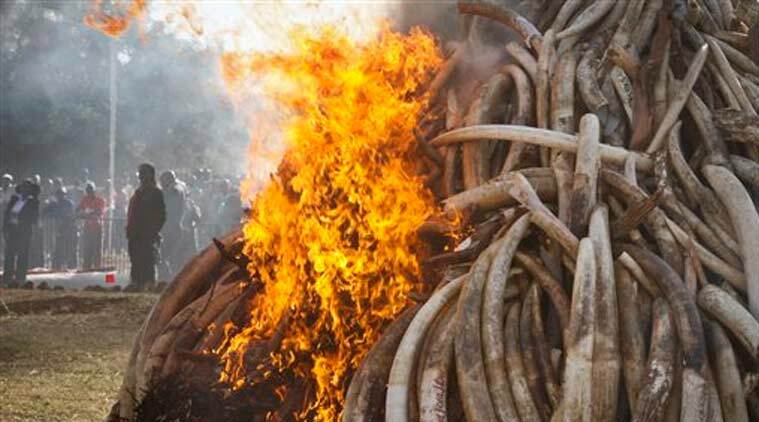 Myanmar’s Natural Resources Ministry said the items destroyed Thursday in the capital, Naypyitaw, included 277 pieces of ivory, 227 bones of elephants and other animals, 1,544 different horns and 25 wildlife skins. A report issued Tuesday by the Kenya-based group Save the Elephants said ivory going to China comes from both poaching within Myanmar as well as pieces originating in Africa.